Raw Bones and Chews for Raw Fed Dogs - Petpav - Your Online Magazine for All Things Pet! When I transitioned our dogs to raw feeding, I was afraid to feed them raw bones. The more I researched raw bones, the more scary stories I read and I wasn’t sure if they were safe and began looking for alternatives. Today, our dogs eat raw meaty bones, recreational bones, and protein chews and I don’t bat an eyelash. I knew of the importance of raw bones, but that knowledge did little to help me feel comfortable taking the risk. If you tell your veterinarian that you plan to feed raw bones, you’re unlikely to leave the practice without a lecture on the dangers of bones for dogs. ● Raw bones can lead to a broken tooth; many dogs hide their pain and we won’t know that they have a broken tooth until it’s bad. 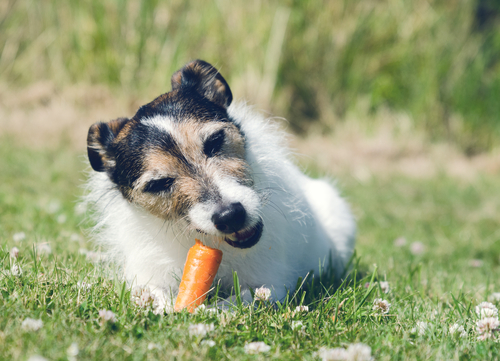 ● Raw bones can splinter and puncture a dog’s esophagus or digestive tract, requiring emergency surgery. Ultimately, a mishap with raw bones is painful for your dog and your wallet. After doing my homework and speaking with a lot of raw feeders and a few pro-raw veterinarians, I decided to give raw bones a shot. Our dogs always eat their bones under supervision. This rule helped me figure out which bones work for our dogs and which don’t work. For instance, raw rib bones splinter and our dogs don’t chew them down enough for my comfort. 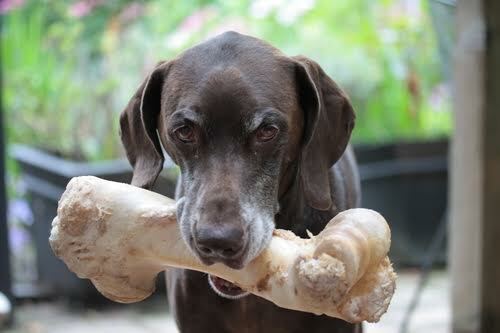 I don’t give our dogs leg bones; imagine how strong a bone must be to hold up a 2,000 pound animal. Rodrigo is a strong chewer and I don’t think his teeth can stand up to a leg bone. Raw meaty bones serve as a meal. I add duck necks to our dogs raw meals, I give them duck, turkey, and lamb necks to chew in the yard (under supervision). Our dogs fully consume duck and turkey necks. I take away the lamb necks (which are shorter and wider) when they’re chewed down to 1-2 inches in diameter to prevent choking. In nearly three years, our dogs have never had an issue with raw bones. I believe this is the case, because I know their chew styles and have found bones that are a good fit for my pack. ● Duck Feet – duck and chicken feet provide a natural source of glucosamine and are great for joints. I prefer Barkworthies, but there are many brands available. Barkworthies duck feet tend to be oilier than others, but our dogs love them so I don’t mind. If you have a white dog, these might make a mess. ● Fish Skins – fish skins are a yummy, smelly treat that floss teeth while satisfying our dogs’ chew drive. When selecting fish skins, avoid salmon (too greasy) and buy from a reputable brand. Fish absorb and store the ocean’s toxins in their skin and fat; buying from a reputable brand will protect your dog. 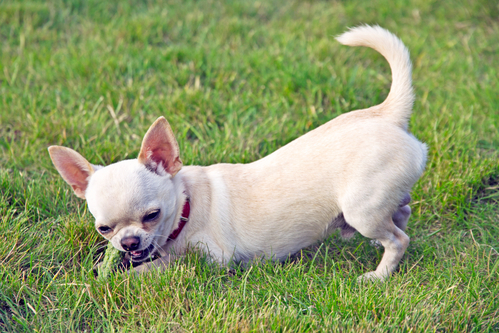 ● Bully Sticks – yep, they’re smelly, but our dogs love them and they come in all shapes and sizes. 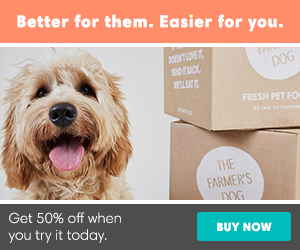 I order them by the case through our raw food co-op and I’ve found that PawStruck.com has the best prices online. Bully sticks satisfy our dogs chew drive while flossing their teeth. There are more dog chew options, but these are regulars in our house. I consider them treats and limit the amount I give to our dogs; have to watch those waistlines. When it comes to feeding your dogs raw bones, only you can decide if it’s okay or not okay. Over the past three years, I’ve learned that I’m an expert in all things about my dogs. And I know what bones they can eat and what bones they can’t eat. I didn’t allow myself to be pressured into feeding our dogs raw bones; choosing to do my homework and add bones to their diet when I was comfortable. Although I am not a “raw feeder” I have learned and adopted many healthy and beneficial nutritional habits from Kimberly. 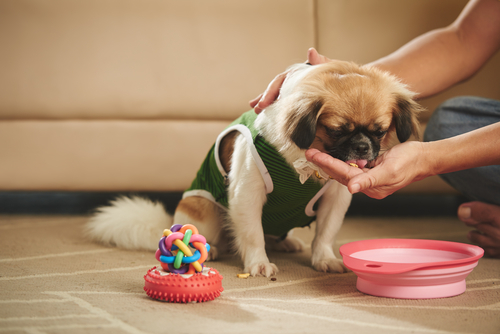 If you are interested in learning more about a natural approach to feeding your dogs, you’ll love following Keep the Tail Wagging. I agree.. She writes great blogs and does a monthly blog for us on raw feeding. She is very knowledgeable. Look under “food and diet” for more interesting blogs from Kimberly!